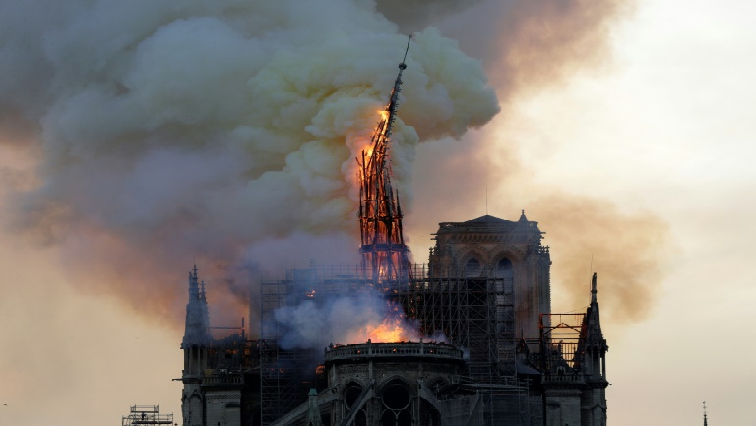 Macron vows to rebuild Notre-Dame after devastating fire - SABC News - Breaking news, special reports, world, business, sport coverage of all South African current events. Africa's news leader. “If Paris is the Eiffel Tower then France is Notre-Dame. It’s the entire culture, the entire history of France incarnated in this monument,” Bernard Lecomte, a writer and specialist in religious history told BFM TV. “We will rebuild Notre-Dame because it is what the French expect,” he said, describing Notre-Dame as “the epicentre of our life” and the cathedral of “all the French”, whether religious or not. France’s billionaire Pinault dynasty immediately pledged 100-million euros for the effort. One fire-fighter was seriously injured in the blaze, the fire brigade said. So horrible to watch the massive fire at Notre-Dame Cathedral in Paris. Perhaps flying water tankers could be used to put it out. Must act quickly! It would go on to feature as a central character in a Victor Hugo novel published in 1831, “The Hunchback of Notre-Dame” and shortly afterward a restoration project lasting two decades got underway, led by architect Eugene Viollet-le-Duc. This entry was posted on 16 Apr 2019,08:11AM at 8:11 AM and is filed under World, Homepage Latest Stories Slider. You can follow any responses to this entry through the RSS 2.0 feed. Both comments and pings are currently closed.